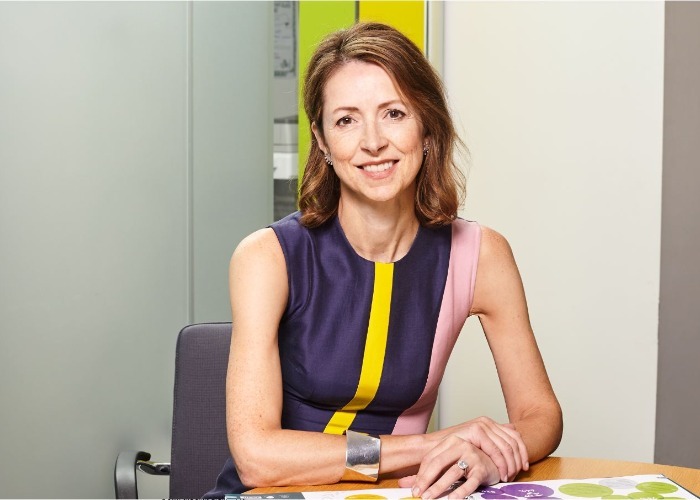 The city star and Legal & General investing boss explains how she navigates turbulence in the stock market. Stock markets can bounce around in response to anything from changes in the weather to a tweet from the White House. Recently, they have been particularly bouncy – and for those who are trying to nurture their savings and investments, this may be unsettling. It can also trigger anxiety among seasoned professionals. I am certainly no exception; however, over the years, I have learned a number of lessons about the importance of keeping calm at times like these. As a fund manager, I learned how crucial it is to try to fight my human instinct to either panic at the market’s low points, or get carried away at its peaks. Controlling our natural psychological reactions and the behaviours they drive is hard: I often failed, but kept trying to learn from my mistakes. Being ‘contrarian’ – going in the opposite direction of the herd – isn’t always successful. But by fighting that kneejerk reaction, we can at least avoid the costly error of selling low and buying high. Following the global financial crisis – the most extreme example of a market swoon in recent years – company shares worldwide took less than three years to rise above their previous peak in sterling terms (as defined by the MSCI World index, dividends reinvested). Of course, history isn’t a guide to the future, and we are now seeing a withdrawal of the vast injections of cash by central banks that helped inflate asset prices since the crisis. Yet these experiences do point to the potential benefits of staying invested over the long term. By selling out of investments during periods of market jitters, we may miss out on the gains that can often follow declines in share prices. This is partly due to ‘compounding’ the income earned from payouts to investors by companies, known as dividends. By re-investing these dividends back into shares year after year, we end up receiving yet more income on our investments – and over the long term this can make a huge difference to the total returns we earn. Just because times look tough doesn’t mean we should rapidly retreat from a sensible, long-term investment strategy. Instead, we can use a bout of market jitters as a chance to take stock of what we’re holding and whether or not our portfolio is still aligned to our long-term goals. Are we happy that our investments are sufficiently well spread so we aren’t putting all our eggs in one basket? Is there even an opportunity to invest some spare cash into one of our favourite funds at a cheaper price than before? Or to buy into a new strategy that aligns with our interest in, say, preserving the environment for our children? It’s not easy to remember all this when what you hear and read about markets is pushing you to act hastily. I strongly believe, though, that ‘time in the market’, or investing for the long term, can help you to achieve your savings goals, while attempting to ‘time the market’, by nipping in and out over the short term, can have the opposite effect. Dame Helena Morrissey is head of personal investing at Legal & General Investment Management. She founded the 30% club, which promotes gender equality on company boards and was the driving force behind the ‘GIRL Fund’.